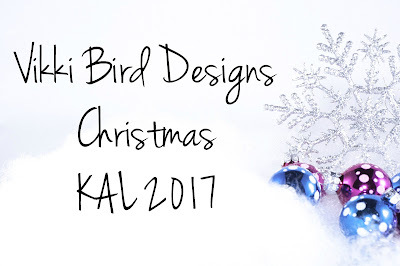 Today I'm launching my Christmas Knits KAL! A KAL is a knitalong event, where everyone knits something on the same theme. The theme for this KAL is Christmas knitting. I'm not talking about gift knitting, rather knitting an item that is obviously festive, think Christmas stockings, socks in festive yarn, Christmas jumpers, Christmas decorations, etc. The KAL will be taking place in my Ravelry group. * All you have to do is to knit something festive and post about it in the KAL thread. The KAL has two threads: the first is a chatter thread where you can chat about what you're knitting and how it's going; the second is a finished objects (FO) thread where you can post a photo of your knit once it's complete. Please only post finished objects in the FO thread, as that's where I'll be doing the prize drawing from. Yes there are! I have yarn, knitting accessories, patterns and a project bag to give away as a minumum, but I'm sure the prize list will be added to over the course of the KAL. I'd like to donate a prize. How do I do that? If you have something you'd like to donate as a prize for this KAL, thank you! Just send me a message on Ravelry (or via my blog contact form) and we'll take it from there. What do I have to do to be eligible for a prize? Finish a festive item before the deadline of November 30th 2017. Post a photo of the festive item in the FO thread on Ravelry (the thread will be closed on the evening of December 1st, GMT). 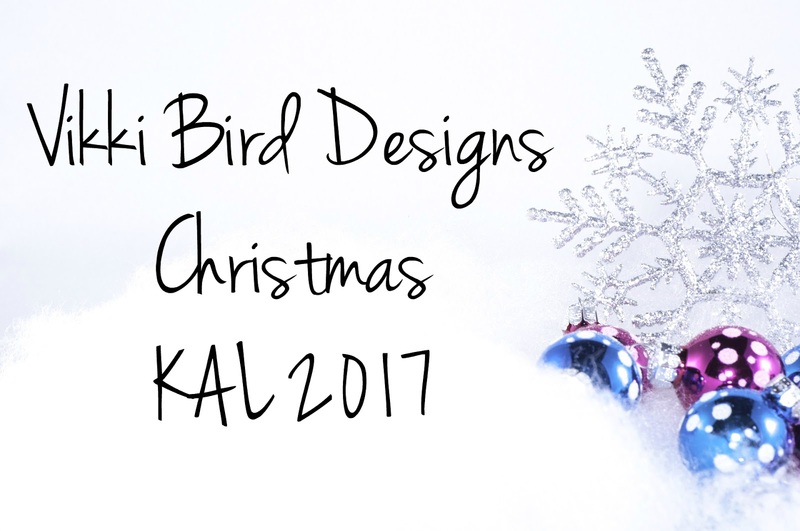 You will get an extra entry for any item knitted from a Vikki Bird Designs pattern. While you may enter more than once, each participant will only be able to win one prize, regardless of how many times they enter. Works in progress are allowed. If you have test knitted a festive pattern for me this year, you can post the item in the FO thread, even if you finished the item before the launch of the KAL. Be a member of the Vikki Bird Designs Ravelry group. Take part in the chatter thread (at least one post over the course of the KAL). I can't knit. Can I crochet instead? *You must be a member on Ravelry to take part. Joining is free and easy, and Ravelry is an excellent resource for knitting and crochet.